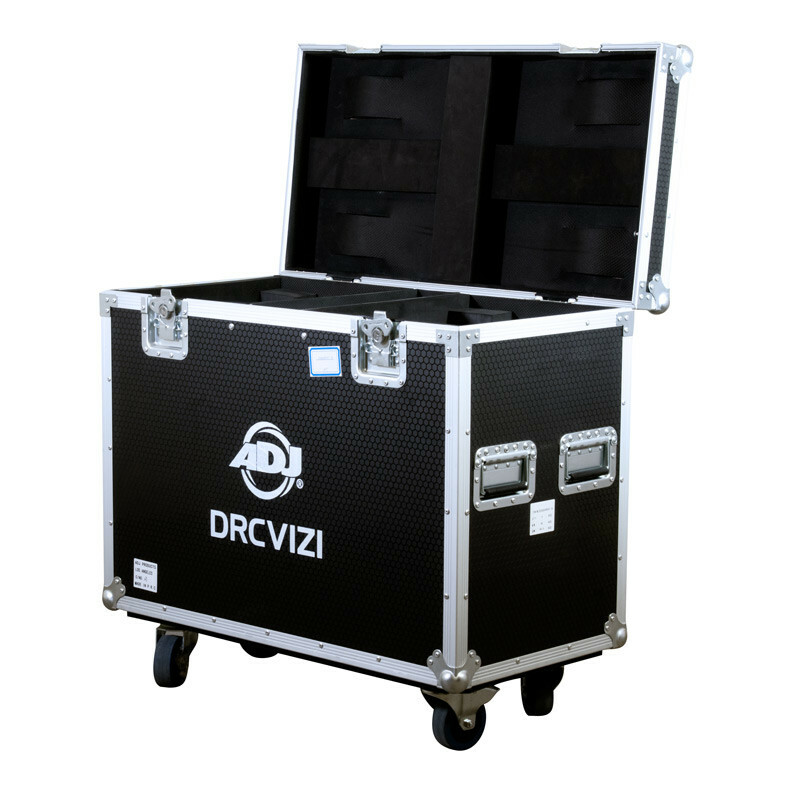 Keep your gear safe as you travel to your next shoot with the DRCVIZI Road Case with Wheels from American DJ. 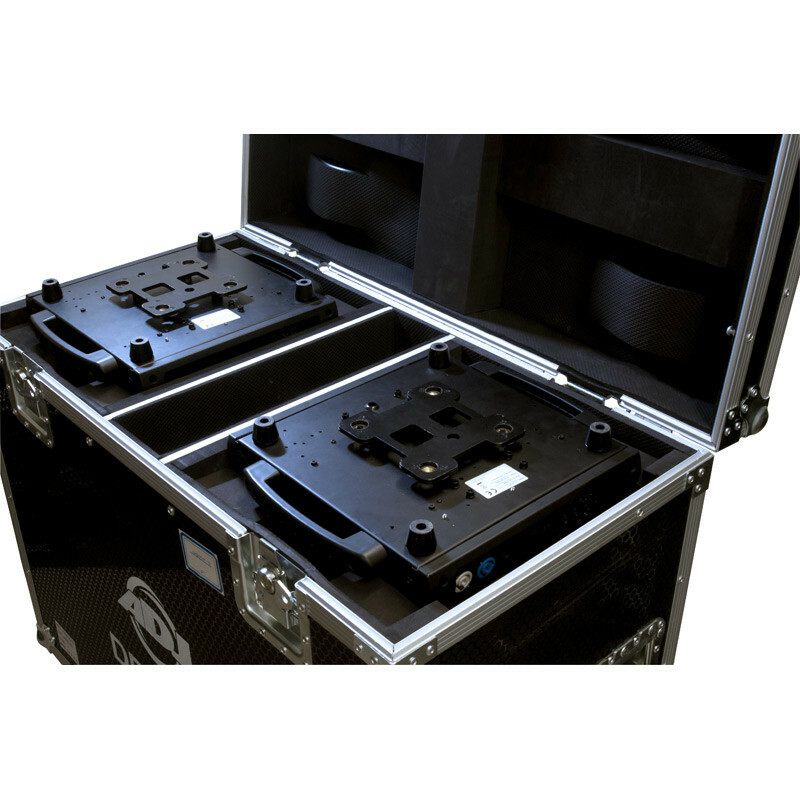 This trunk is designed for safely storing two compatible American DJ lights, allowing you to load them head first and hang them from their base to help ensure maximum protection. 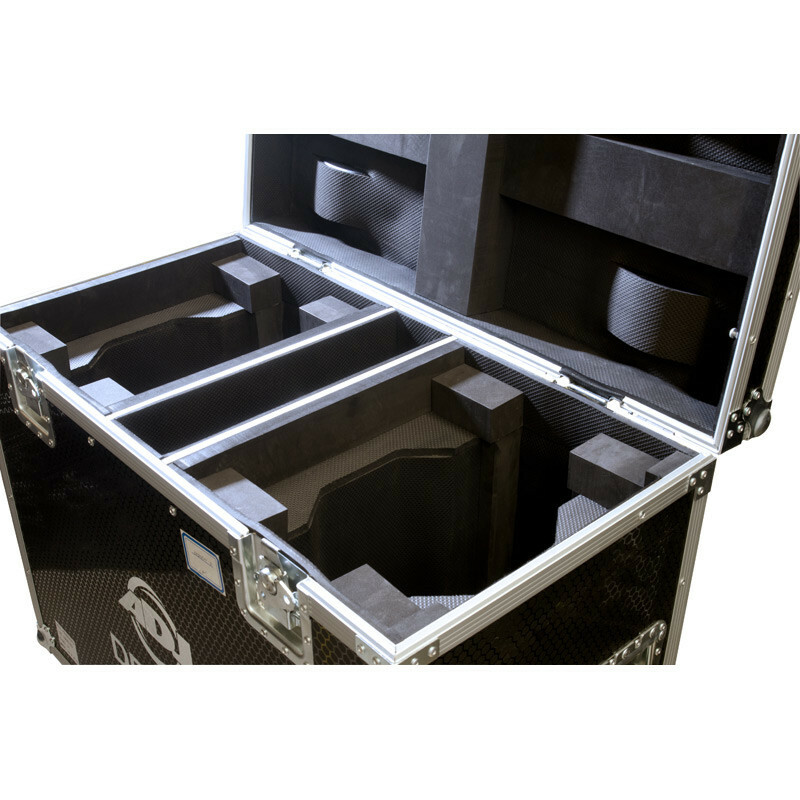 Two large compartments with foam cutouts are used for the fixtures, while the slim central section offers space for cables, clamps, or other small accessories. 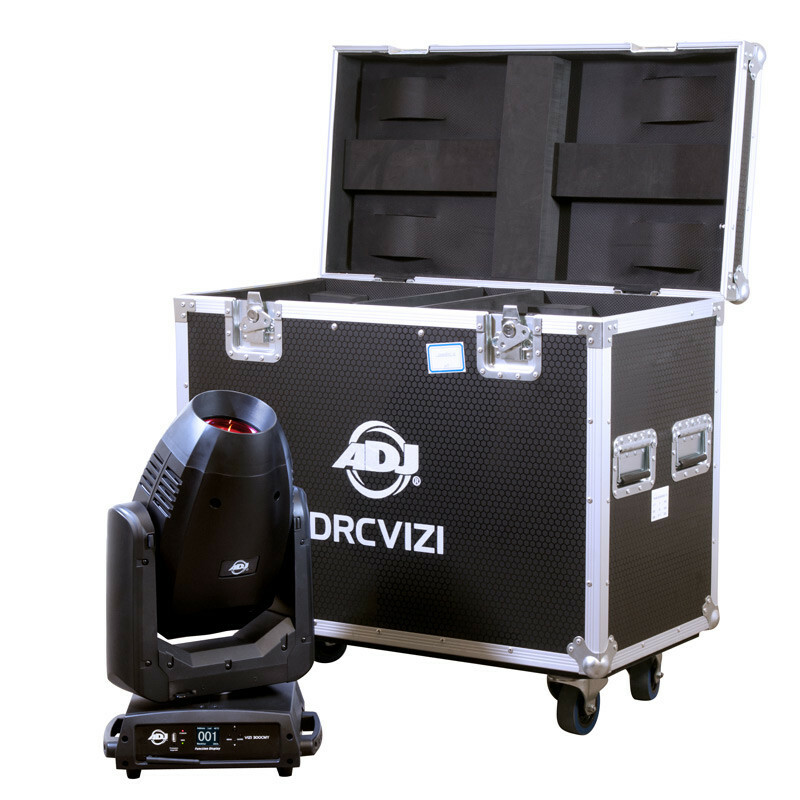 Lights compatible with this case include the ADJ Vizi BSW 300, Vizi CMY300, Vizi Hybrid 16RX, Vizi Beam 5RX, and Inno Spot Elite. 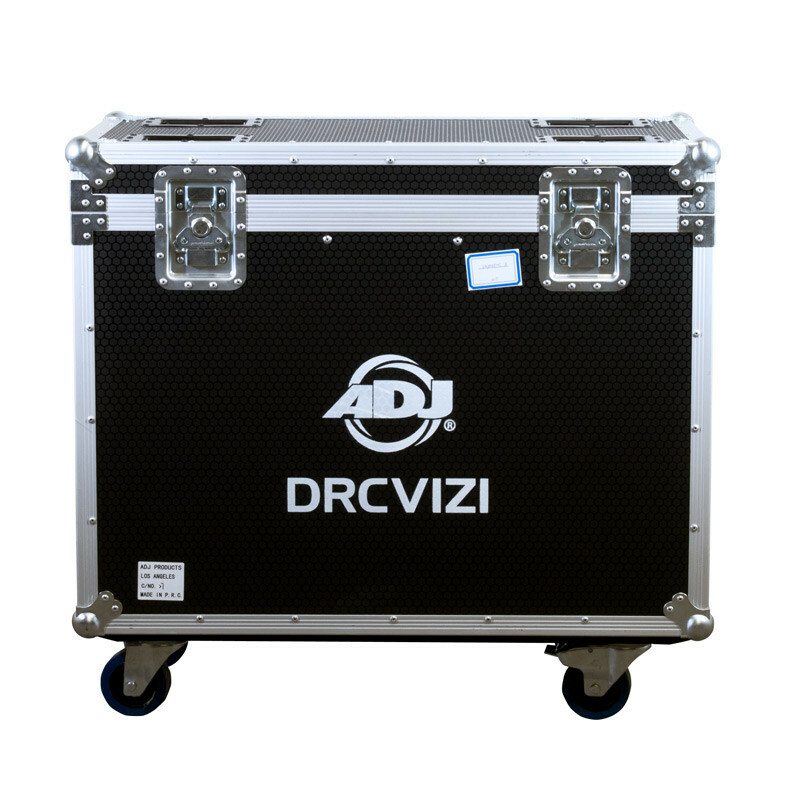 The DRCVIZI is equipped with a top-loading lid that has foam on the inside, which opens via two recessed spring latches found in the front. 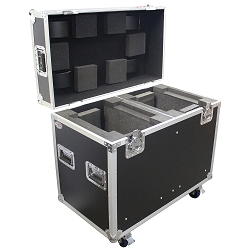 A 3/4" plywood sheet is used for the base plate, with each corner of the case reinforced with high impact metal to enhance durability. 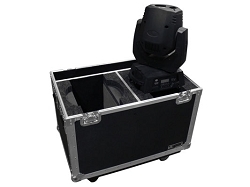 For easy transport, the four caster wheels offer unrestricted movement and are rated to withstand up to 300 lb. 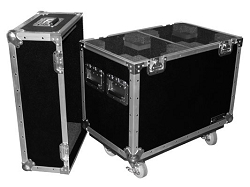 Accompanying them are four spring-loaded handles, two on each side, which can be used to help guide the trunk as you roll it or outright carry it. 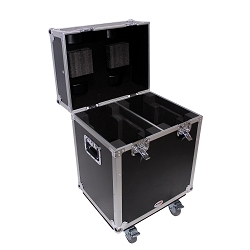 Finally, four slots at the top of the lid can fit the wheels of an identical model, and therefore allow for safe stacking of several road cases. 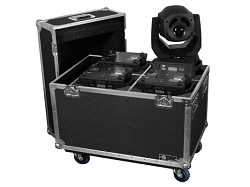 2 thumbs up! 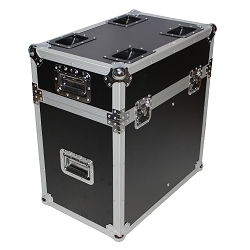 really great case. Also, great customer service!